Esso Card’s new VAT recovery system means customers could receive VAT and excise duty reimbursements in just two weeks from receipt of their invoice. Esso Card fuel card customers could receive VAT and excise duty reimbursements in just two weeks from receipt of their invoice – rather than months – under the launch of a new system. 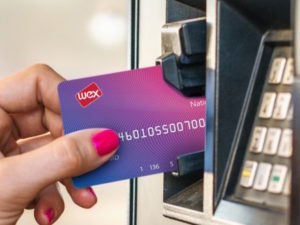 WEX Europe Services, owner of the Esso Card, has partnered with specialist VAT reclaim partner ATS, which can submit and manage claims on WEX Europe Services customers’ behalf under a fee system. The VAT recovery service covers fuel card purchases across Europe and will only charge for successful claims. Customers can also get a status update on their claim by logging in to the ATS web portal. 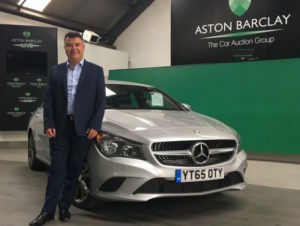 Sales director David Smith will lead the new account management team as Aston Barclay plans to double its sales in the next five years. David Smith has joined Aston Barclay as sales director in its drive to double sales over the next five years following its recent MBO. The company has also appointed its first-ever direct sales team, with four new account managers recruited following the promotion of Robert Wittridge to national sales manager earlier in the year. Smith has previously worked for Inchcape Fleet Solutions, GE Capital Fleet Solutions and Hitachi Capital Vehicle Solutions. Aston Barclay is also planning to deploy a new group buyer services team in late September. Used diesel and petrol prices both fell in Q2 by £636 and £279 respectively, according to latest Autorola figures. Used car prices fell back slightly in Q2 2017, with both diesels and petrols impacted, says Autorola UK. Following a record-breaking first quarter, average used prices fell by £384 to £9,237 in Q2, with Autorola attributing the fall in part to a rise in average mileage from 18,992 to 21,551 while average vehicle age increased back to 33 months from 29 months in Q1. Diesels were down by £636 to £10,768 with petrols down by £279 to £8,125 – Autorola noted that diesel prices fell faster in Q2 faster but said it’s too soon to tell if this is the start of a more long-term fall. The company added that generally diesel still remains the fuel of choice for trade buyers. INRIX says searching for parking costs each driver £733 in wasted time, fuel and emissions; a total of £23.3bn across the country. UK drivers spend an average of 44 hours a year searching for parking, racking up a total cost of £23.3bn across the country. 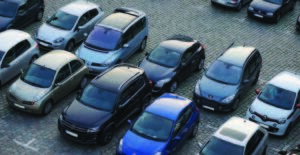 The research by INRIX found that businesses and high streets are also bearing the brunt of the issue as 40% of motorists avoid driving to shops due to problems finding parking. 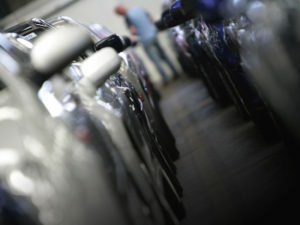 Dr Graham Cookson, chief economist at INRIX, said “parking pain will only get worse until technology is fully embraced” and explained that smart parking solutions are available for drivers, parking operators and cities to help reduce search times, congestion and pollution as well as negate overpaying and fines altogether. 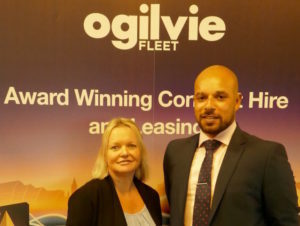 Sarah Craig and Lance Spencer join Ogilvie Fleet’s South of England sales team. Ogilvie Fleet has recruited a further two members to its south England sales team. Sarah Craig and Lance Spencer have joined the team, which was launched almost two years ago, both bringing previous experience within the industry. The appointments come as Ogilvie, which currently has more than 15,000 company cars and vans on its books, targets a fleet of around 20,000 vehicles in the coming years.